IRVING, Tex. -- Kids across the country are going back to school, and 7-Eleven is celebrating with a sweet deal on their signature frozen drink. 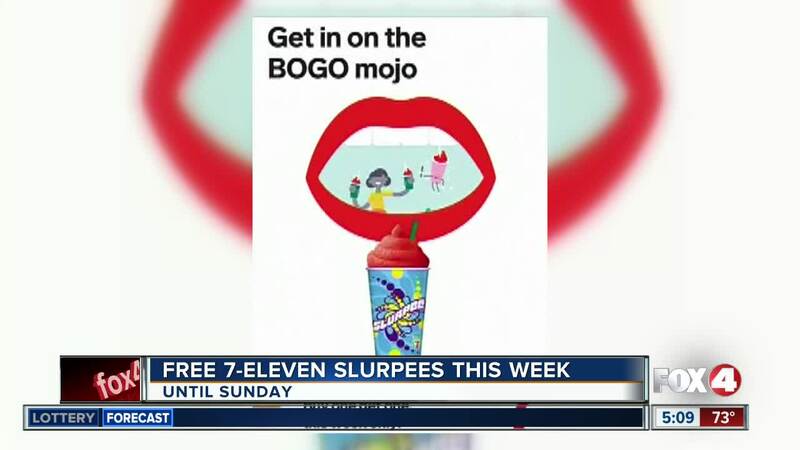 The convenience store chain kicked off their Buy One-Get One Free Slurpee event this week, and it lasts through the end of Sunday, August 19. Customers who buy any size or flavor Slurpee drink at participating 7‑Eleven stores nationwide can receive a second Slurpee drink free . The free Slurpee drink can be the same size as the one purchased or smaller and must be redeemed at the same time the purchased Slurpee drink is bought. 7‑Eleven is using the hashtag #SlurpeeBOGO so Slurpee drink fans can share their experience on Twitter, Facebook, Instagram and more. But check with your local store first, as there are reports that some locations are not participating in the event. That includes all Michigan locations. The current featured Slurpee flavor is the bright blue Cap’n Crunch Crunch Berries.